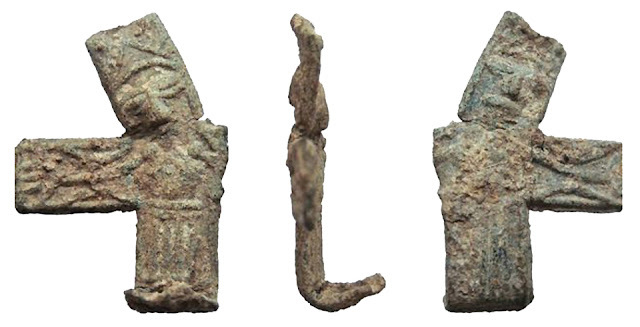 Exceptionally rare Early Medieval crucifix discovered. Mr. Tom Redmayne from Lincolnshire discovered a very rare ancient crucifix while metal detecting on a field in Skidbrooke. The item has been evaluated to date from the Early Medieval age (AD950-1150). Cast in lead alloy, it is described as 26.36mm in height, 18.7mm in width, with a weight of 4.01 grams. A dent on the top suggests it had a suspension loop. The crucifix displays Christ on the cross with three emphasized dots on the torso, which experts believe may represent the Holy Trinity. 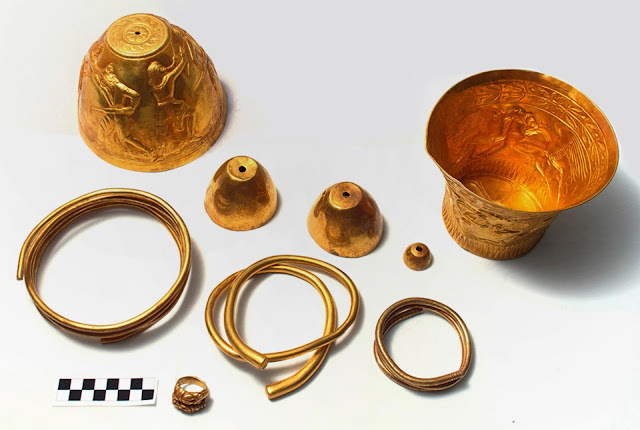 According to archaeologist Adam Daubney, from Lincolnshire County Council, only one other near identical, almost-complete piece was found on August 2015 in Swinhope. Mr. Daubney also said the crucifix was likely designed in England from a Scandinavian prototype, but made overseas and tells us something about cross-channel trade and religion during that era.